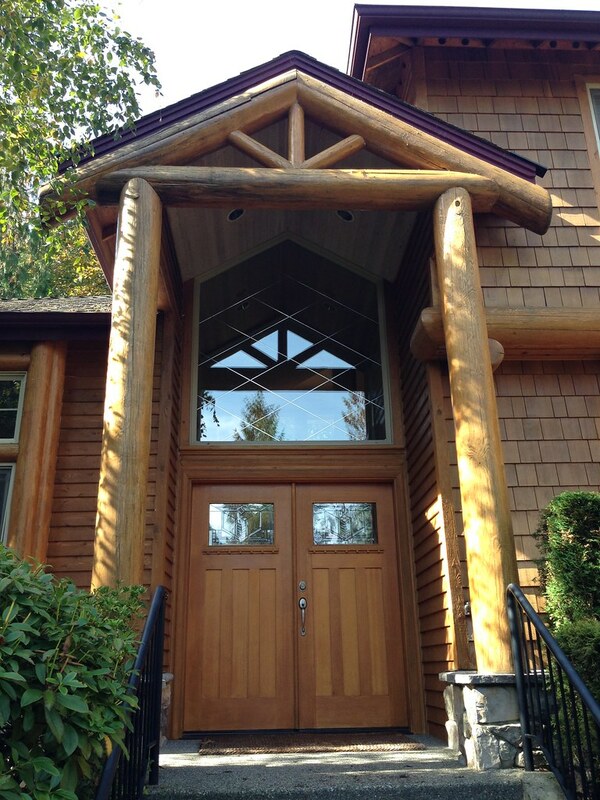 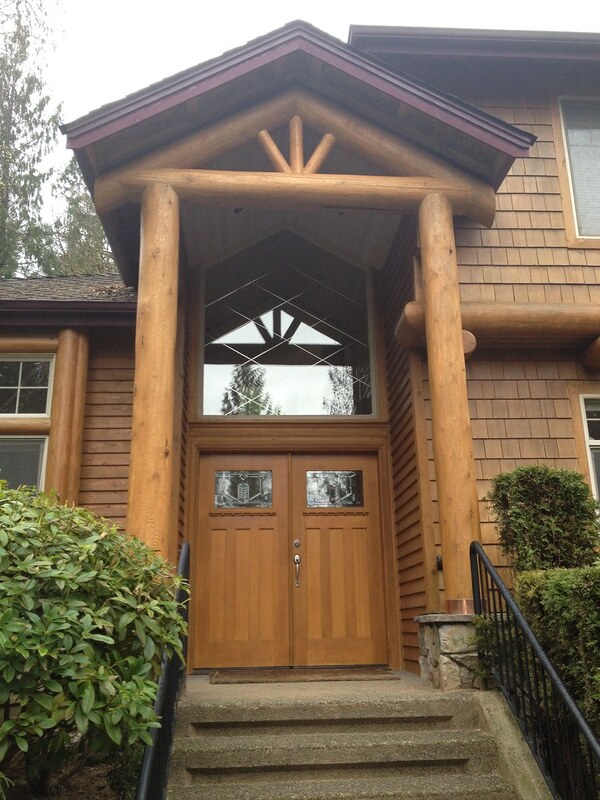 This existing log entry structure required replacement of the logs due to improperly detailed column bases and inadequate roof overhangs. 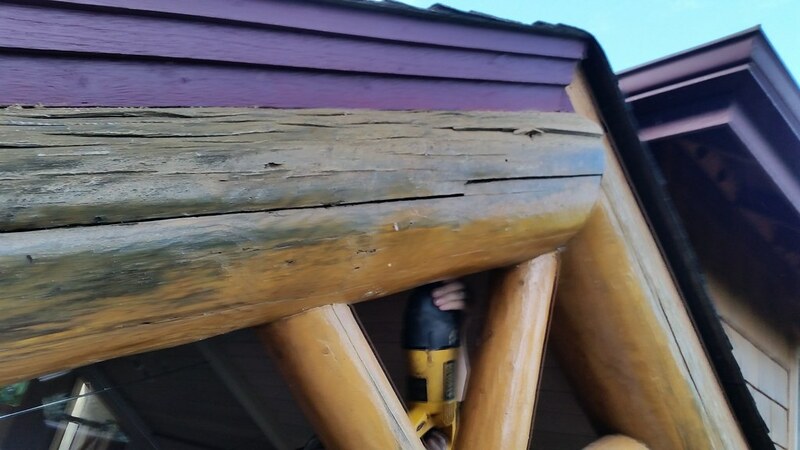 The roof was shored in-place, logs removed, and replacement components installed. 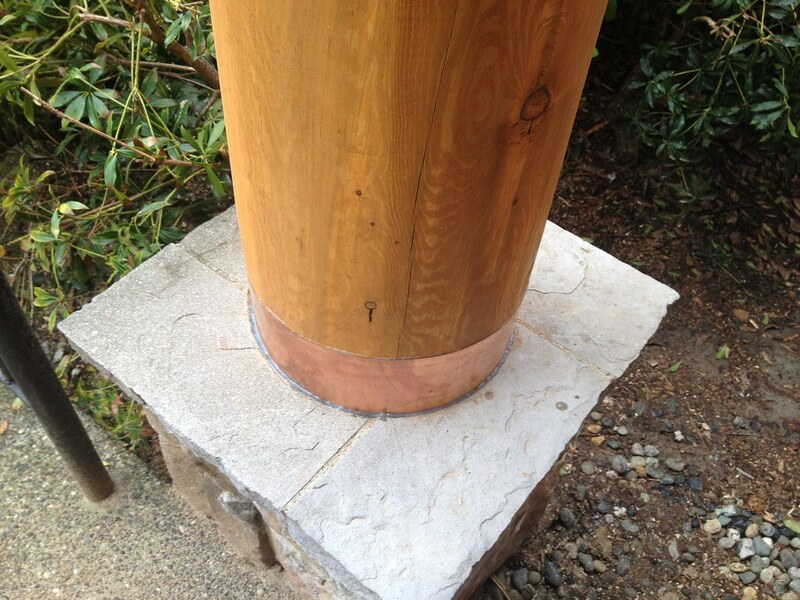 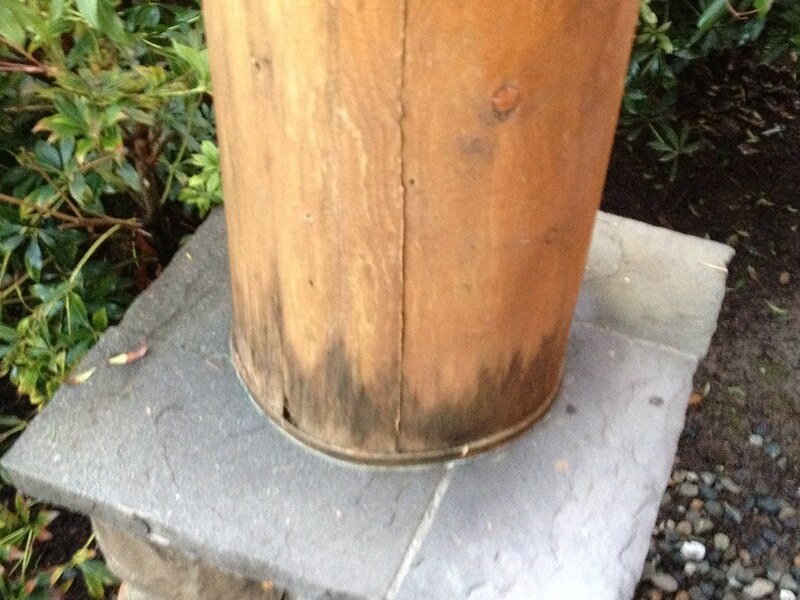 The new columns were shorter to attach with hardware above the stone plinth line and sealed with copper flashing. 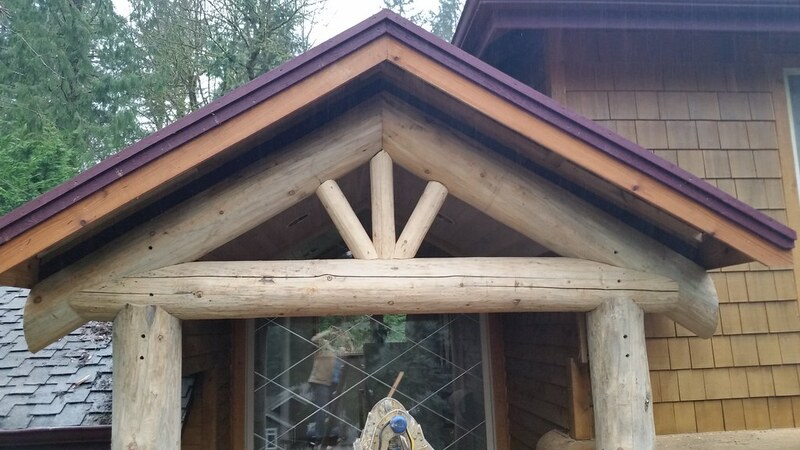 Above, the roof was extended over the new truss to better protect the logs from rain.